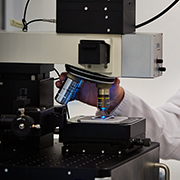 Raman Spectroscopy is a fast, non-destructive method which can provide deep insights into the composition of samples. In many cases, these insights cannot adequately be gained by other analytical methods. Known since more than 80 years, high technical requirements of Raman Spectroscopy have however restricted its usage so far mainly to research segments. 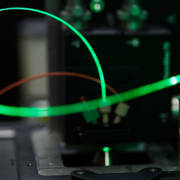 Groundbreaking innovations in laser and microscope techniques as well as recent software and hardware developments enable industrial application now.